Biodegredable Nespresso®* compatible hot chocolate mint pods. Are you a person that always goes for mint chocolate ice cream when it is available? Some flavour combinations are just meant to be – and our mint and chocolate (Nespresso®* compatible) capsules are one of them. 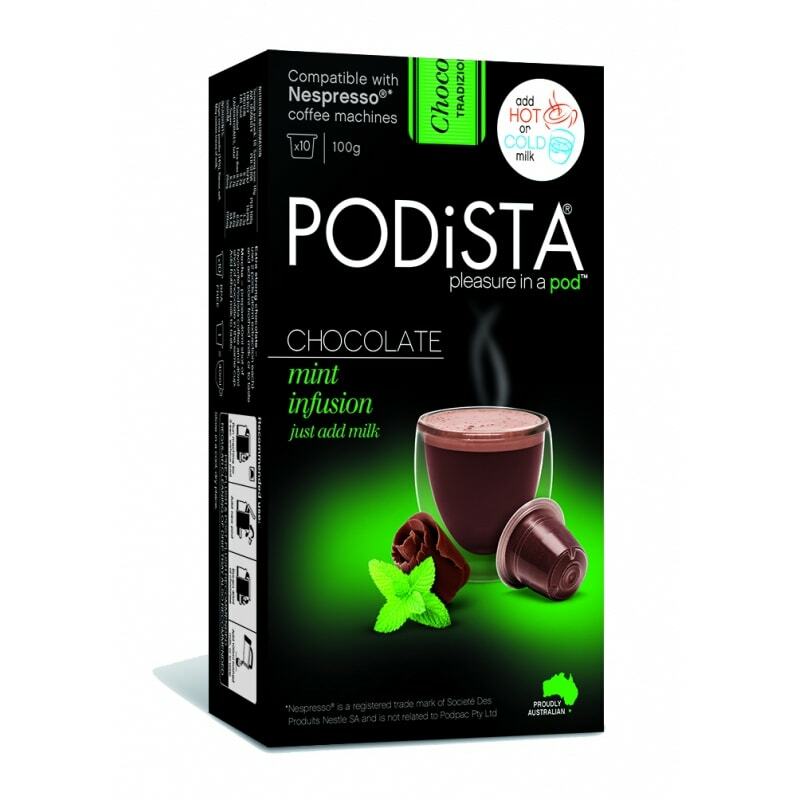 A superb combination of aromatic yet subtle mint to enhance the flavour of the rich and creamy hot chocolate pods, this all-time favourite is the perfect after dinner treat! 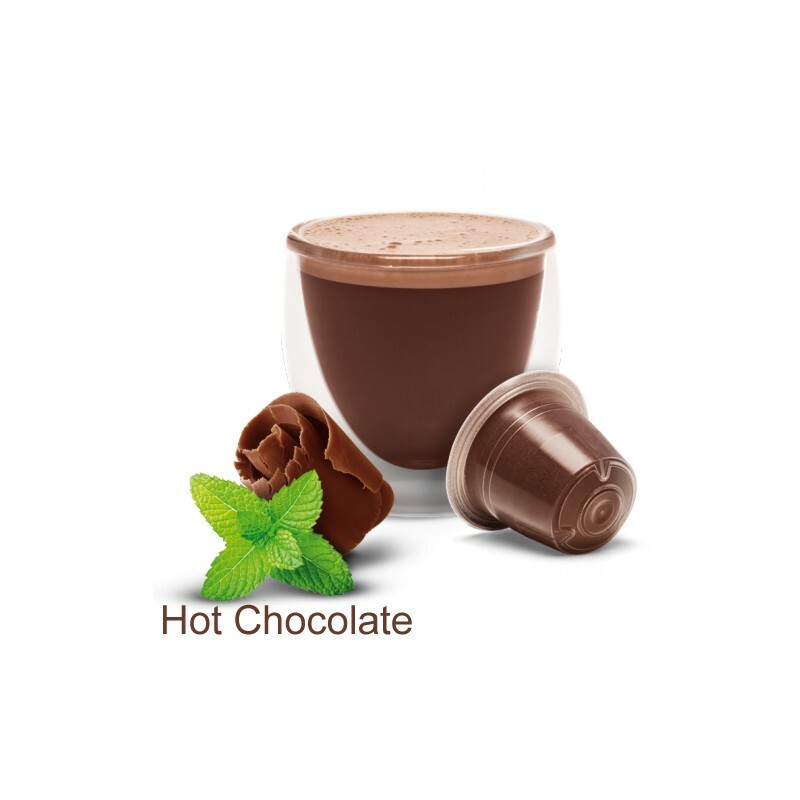 Did you know you can also drink your Nespresso compatible Mint Chocolate capsules COLD, just extract over Ice and add cold milk, for a delicious alternative! Ingredients: Sugar, cocoa powder (15%), flavours, salt. May contain traces of milk.